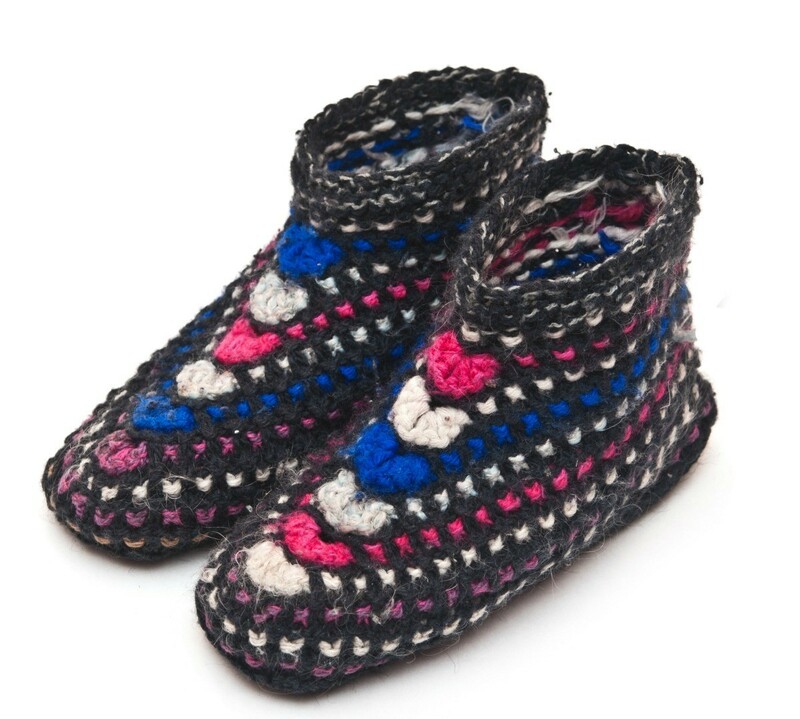 A favorite project for many knitters is making slippers. This is a guide about free knitted slipper patterns. I am now retired and would love to knit slippers for my grandchildren. Does anyone have a pattern to pass along? Thanks. These are so easy! Got this from www. ravelry. com. Instructions are for Child' Size with changes for Women's & Men's in parentheses. Size 9 (10.5 for men) knitting needles and 3 oz of worsted weight yarn. Slippers can be worked in single or double strand, but I prefer double for extra warmth. ROW 1: - wrong side - K9 (9-11), p1, k7 (9-11), p1, k9, (9-11). Repeat these 2 rows for 5 (6-8) ins., or 2 (2 1/2-2 1/2) ins. less than desired finished length allowing the 2 (2 1/2-2 1/2) ins. for toe, end on wrong side. ROW 1: P 1, *k1, p1; repeat from * to end. ROW 2: K1, *p1, k1; repeat from * to end. Repeat these 2 rows of ribbing for 1 1/2 (2-2) ins., end on wrong side. First DEC. ROW: Work ribbing for 7 (7-9) sts, * slip, k and psso, k1, k2 tog. *, work 3 (5-7) sts ribbing, repeat between *'s once, finish row in ribbing; 23 (25-31) sts. NEXT ROW: Work 7 (7-9) sts ribbing, p3, work 3 (5-7) sts ribbing, p3, finish row. 2nd DEC ROW: Work 6 (6-8) sts, * k2 tog., k1, slip, k and psso *, work 1 (3-5) sts, repeat between *'s once, finish row; 19 (21-27) sts. Break yarn leaving an end about 12" long. Thread yarn tail onto yarn needle, and remove the remaining sts from the knitting needle, pull tightly to close. Repeat pulling tail through all sts twice. Finishing -- Fold cast on edge in half and sew 3 (4, 5) ins. from toes leaving just enough room for heel. Then back stitch for 4 sts and cut yarn. Attach your yarn and sewing needle at heels then stitch heel shut. I'm looking for a easy pattern for knitting slippers. Ladies and kids. Thank You. Go to freepattern.com. You can find all types of patterns, from easy to very hard, and they're all free to copy. Good luck, and God bless you. I'd be careful who you make these for, as they can be quite slippery to walk around in. To all those who knit... I need slipper patterns! No crochet patterns please, just knitting patterns. This is for charity. Look on the Internet for Free Knitting Patterns Slippers. You could also try the Charity Links on the Knitting websites.